Ozery Bakery Has Tasty Food for Every Meal & Snack! Looking for a tastier, healthier snack and breakfast this school year for your children? 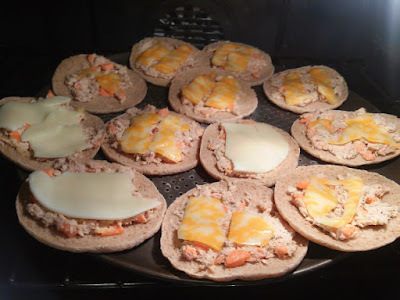 I known I am constantly looking for new, fun and healthy foods to send in my son's lunch. He loves when I send new things in his lunch box and I love knowing he is fueling well! Ozery Bakery is helping us this school year with their really tasty Morning Rounds and Snacking Rounds! They are non-GMO, preservative-free and the perfect alternative to Pop-Tarts, Bagels and other breakfast breads. Filled with real fruit & grains these fruit and grain buns can be toasted and are delicious with peanut butter, preserves and even cream cheese. Plus, they smell great in the oven. MORNINGS NEVER HAD IT SO GOOD! First start your day and your children's day off right with Morning Rounds, the fruit and grain bun that will make you want to ditch those unhealthy doughnuts, muffins and pastries. They only put in what's delicious, like pieces of real apples, whole oats and seeds. With Morning Rounds, breakfast and snacks are a no-brainer—the hardest part is choosing one out of their four delicious flavors: Cranberry Orange, Muesli, Apple Cinnamon and Date & Chia. Morning Rounds are crafted with care in small batches, and contain absolutely nothing artificial. Plus, they offer Snacking Rounds which are a great addition to any lunch box! Our favorite was the Apple Cinnamon Snacking Rounds! Filled with juicy dried apples and a hint of cinnamon, they make wonderful mini peanut butter sandwiches. And for dinner, we LOVE their Organic OneBun for making salmon/tuna melts and mini pizzas! 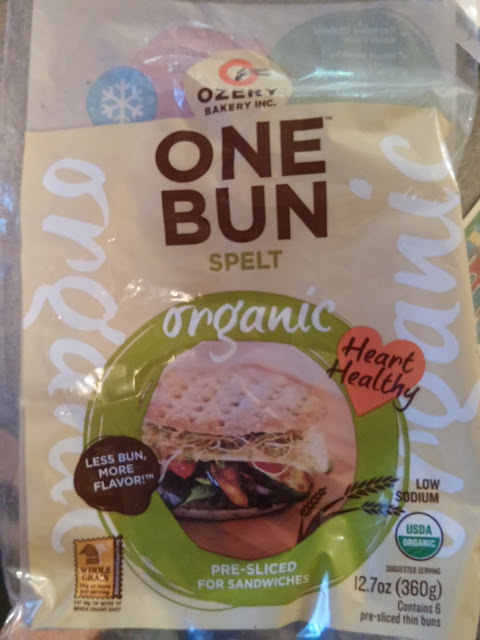 The Organic OneBun is USDA Certified and are crafted with care in small batches, and contain absolutely nothing artificial. These Organic Spelt OneBuns are full of ancient grain goodness. Heart Healthy and low in fat, they are also a source of fiber and contain nothing artificial. These Organic Wheat OneBuns are packed with all natural goodness. They are Heart Healthy, tasty, a good source of fiber and contain nothing artificial. We love Ozery Bakery products for breakfast, lunch, snack and dinner!! You can purchase Ozery Bakery products online or at a local retailer near you.